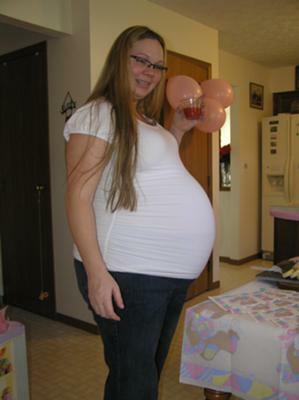 This was taken at my baby shower on November 7,2009. I delivered 2 healthy baby girls on December 10th. Adriana was born first weighing 7 lbs and Abigail was born 1 minute later weighing 6 lbs 13 oz. I had a c-section for various reasons and there was some complications afterward but we are all doing great now.